Whenever I find myself needing a room to spend a night in a hotel Metro Manila, I always look for decent and affordable hotels to stay in. 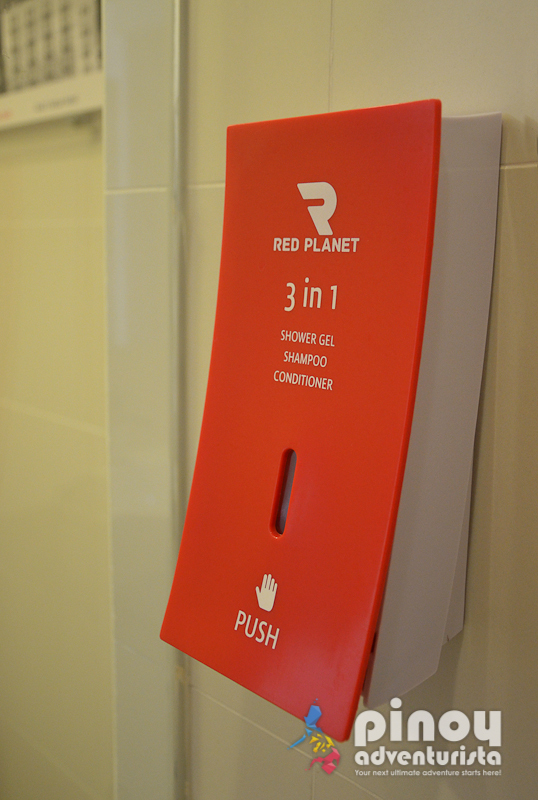 And what always comes first in my mind is Red Planet Hotel. Why? 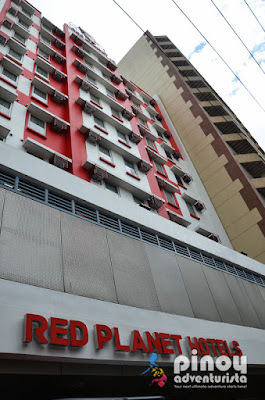 Because Red Planet Hotels are strategically located in major cities in Metro Manila offering really affordable and value-for money rates, coupled with awesome customer service. 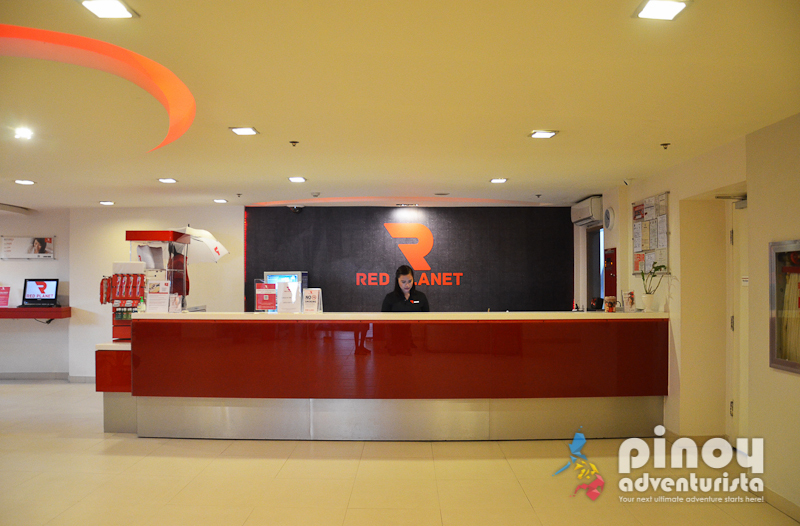 Two weeks ago, we got the chance to stay at Red Planet Hotel Ermita Manila (Check rates online). 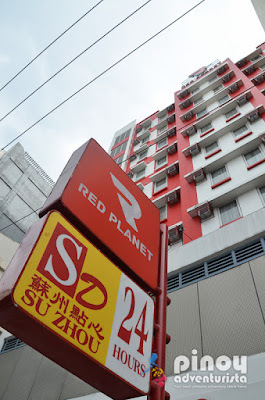 It is one of the first Red Planet Hotels (used to be Tune Hotels) in country. A member of the international hotel brand of Red Planet Hotels in the Philippines, it is designed as a "value hotel," offering basic yet functional and superb hotel accommodation highlighted with top-notch customer service at very affordable rates. Located along Mabini St., in Ermita Manila, Red Planet Hotel wasn't hard to find. It is conveniently near commercial and business establishments in the area and can be accessed by public or private transportation. 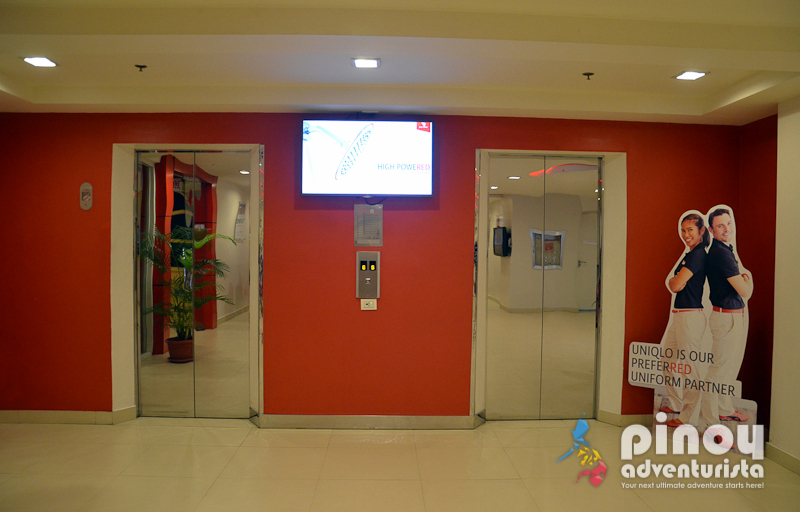 If you're bringing a car, free parking space at the hotel's 2nd floor is available for checked-in guests. Upon entering the hotel premises, we were hospitably welcomed by the security staff and greeted us with a smile. 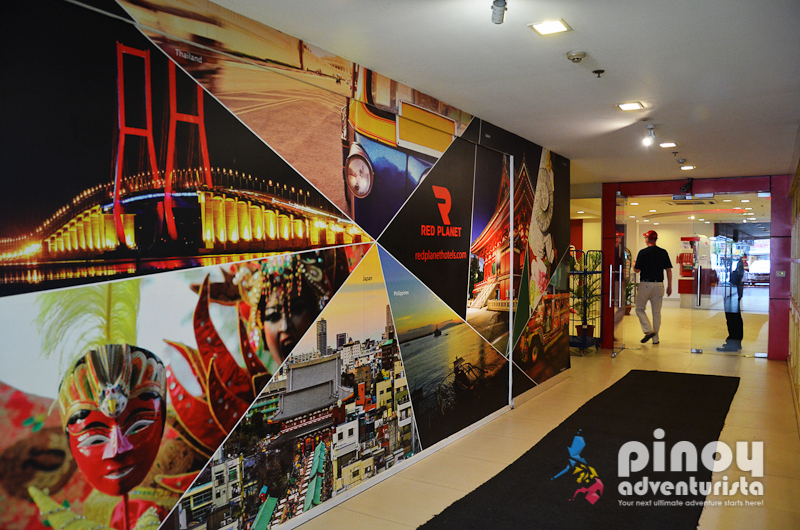 We then proceeded to the reception area to check-in. The hotel staff warmly welcomed us with a warm smile and assisted us with checking-in. Checking-in was fast and efficient; it only took us about 5-8 minutes and we were given our electronic access key card to our room. We then took the lift and proceeded to our room, located at the 10th floor. 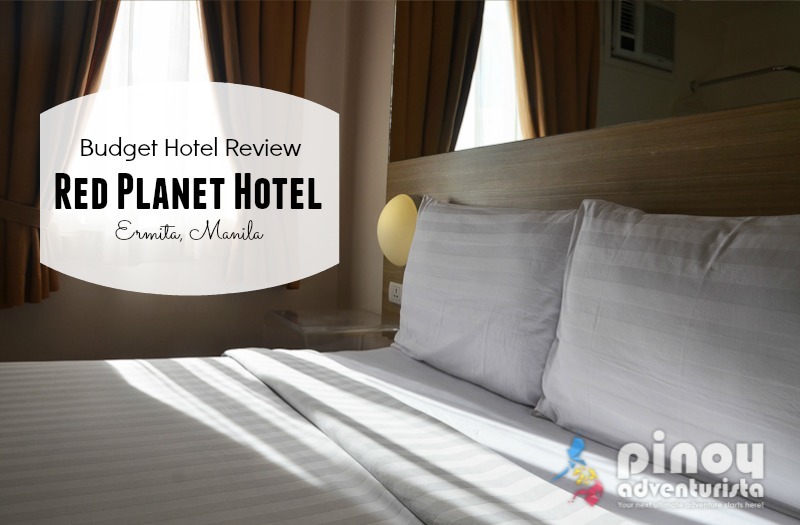 This is our second time to stay at Red Planet Hotel Ermita and still, we were not disappointed with their rooms and the basic amenities it offers. Their clean yet affordable accommodation can be seen in the rooms which are well-organized, equipped with modern furnishings and has all the basic amenities needed for a comfortable stay. 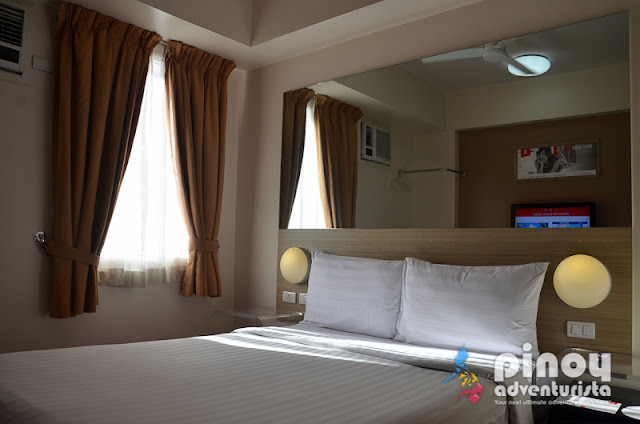 What I like most about Red Planet Hotel's room is that even if it's small, there's still a lot of space to move around because of their efficient use of space. Also, I like the use of the shades of white and earth tones in the room's interiors which create a relaxing and calming ambiance. 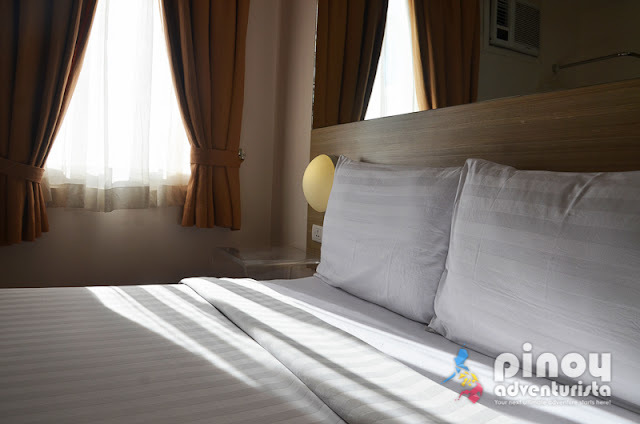 Just like in other Red Planet Hotels in the Philippines, our Double Room is furnished with a queen size bed coupled with plush linens, comfortable pillows and a thick comforter. 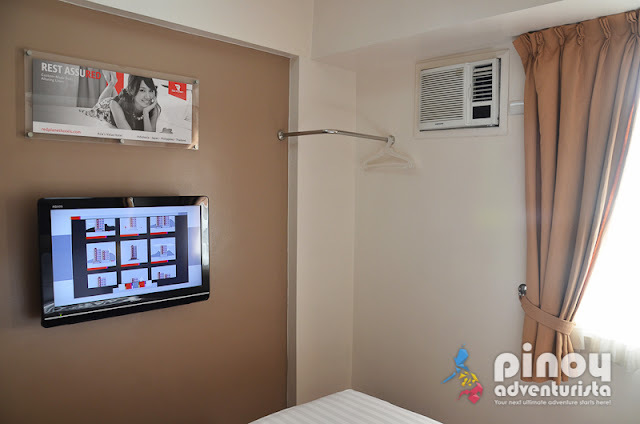 It also has a separate toilet and bath, a flat screen television set with cable channels, in-room safe, individually-controlled and silent air-conditioning unit, a huge mirror, hair dryer, clothes hanging area, a ceiling fan and a foldable side table. 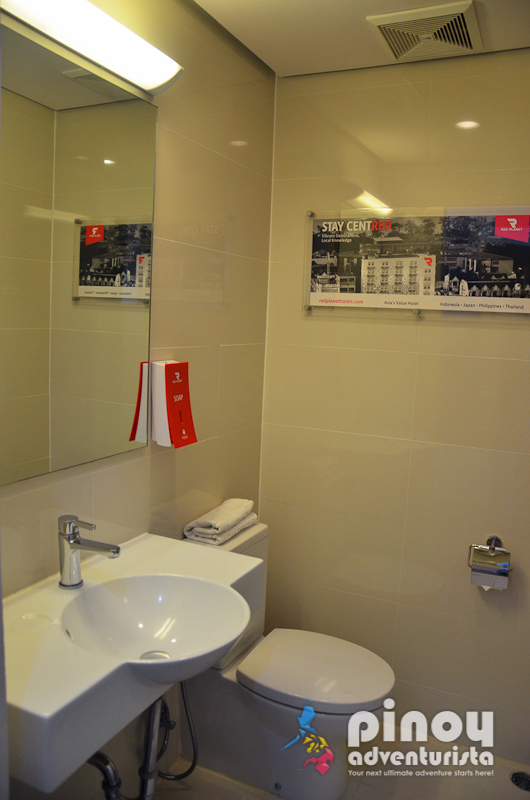 The en suite toilet and bath is spacious, clean and well-organized. 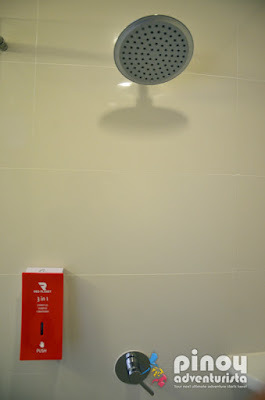 It has a sink, water closet with bidet and hot and cold shower (rain-shower feature) with excellent water pressure. Clean towels and basic toiletries such as soap and 3-in-1 shampoo/conditioner/bath gel are also provided. 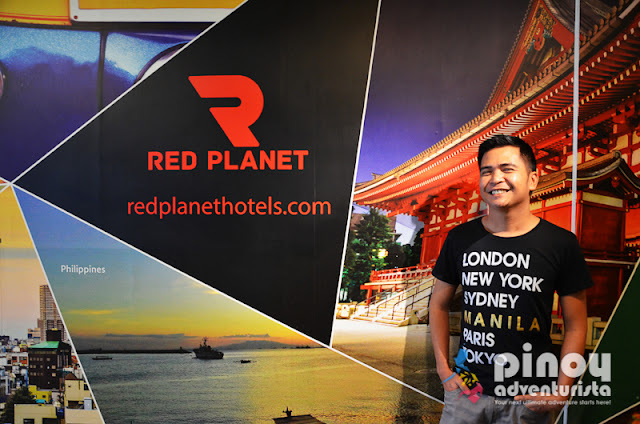 What I certainly loved about our room here at Red Planet Ermita, is the breathtaking view of Manila Bay and its famous sunset as seen from the window. 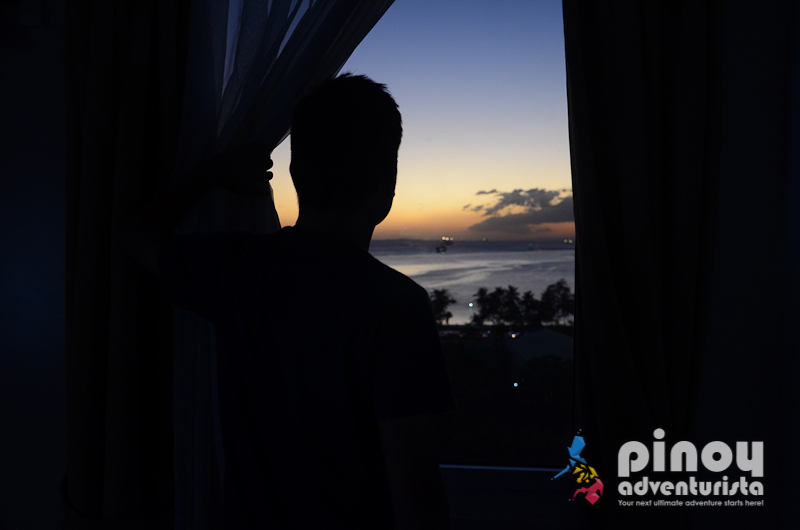 So, if you want to see Manila bay's sunset from your room, be sure to book a room that is located at the top floors on the Manila bay side. Really awesome! As a budget hotel, breakfast is not included in the basic room rate. But that is not a problem. As Red Planet Ermita is located right in the heart of the city, restaurants, fast food chains and convenience stores abound the area. 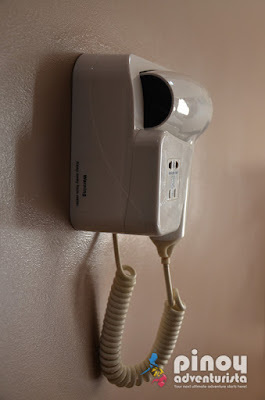 You can also call your favorite fast food chain and have your food delivered right into your room. There are also some snacks and drinks for sale at the lobby. Also, within the hotel's premises, there is a restaurant and a convenience store, so getting hungry any time of the day is not problem as they are both open 24 hours. 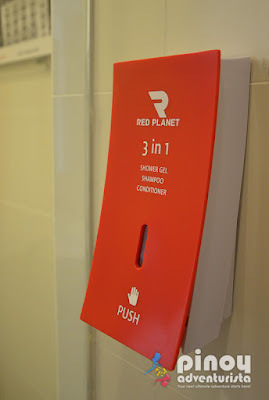 As I have previously mentioned in the reviews about Red Planet Hotels, their complimentary WIFI internet access is really commendable. 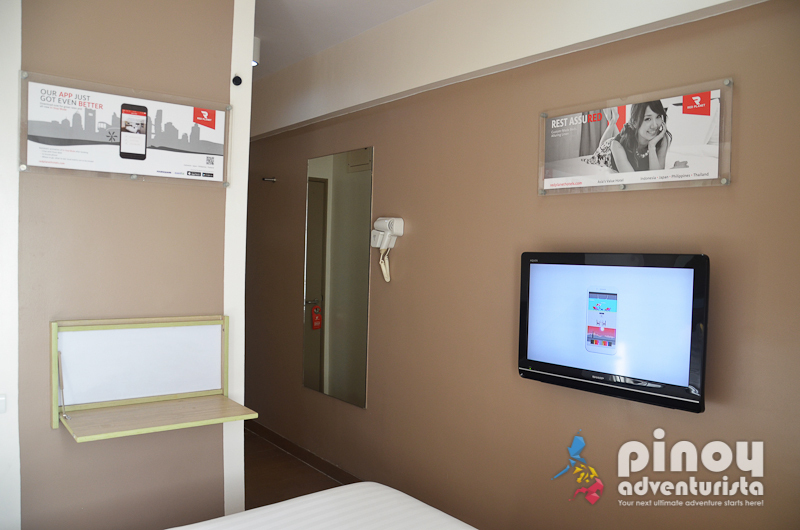 Free WIFI internet access is available 24/7 inside the room and anywhere in the hotel. Connection is fast and reliable. I can say that Red Planet Hotel's WiFi connection speed is among the fastest in the hotel industry in the Philippines. 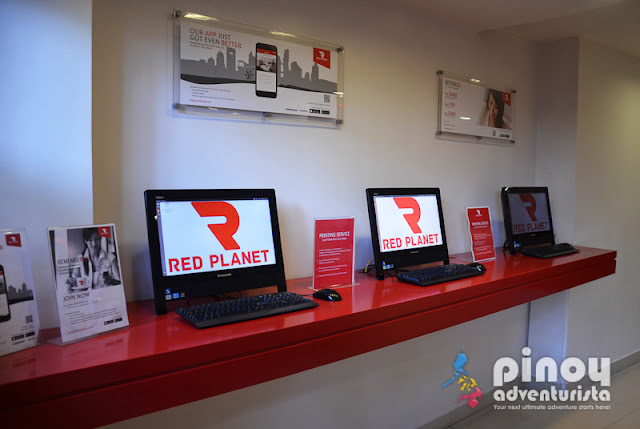 What I also love about in every Red Planet Hotel is that they have computer sets at the lobby that the guests can use for free. 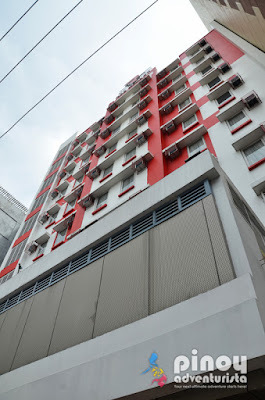 You may check their website at www.redplanethotels.com for the current room rates. 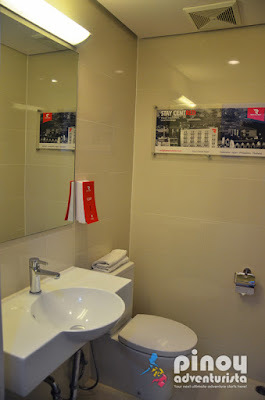 All rooms can accommodate up to a maximum of two persons only. Standard check-in time is at 2:00 PM and check-out time is 12:00 NN. Booking is easy and convenient. 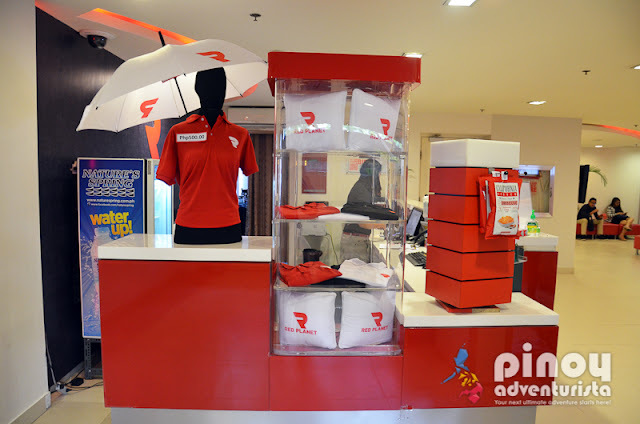 You can book online thru their website or by calling them at +63 (02) 708 9888. For the best room rates and discounted hotel deals, I recommend that book a room via their mobile app. You may download it for free at Google Play Store for Android and App Store for iOS devices. Using the Red Planet Hotel mobile app, you don't just get discounts when booking a room, you can earn by referring guests to Red Planet Hotels. Sign up now, start sharing, and start earning cash! How cool is that? 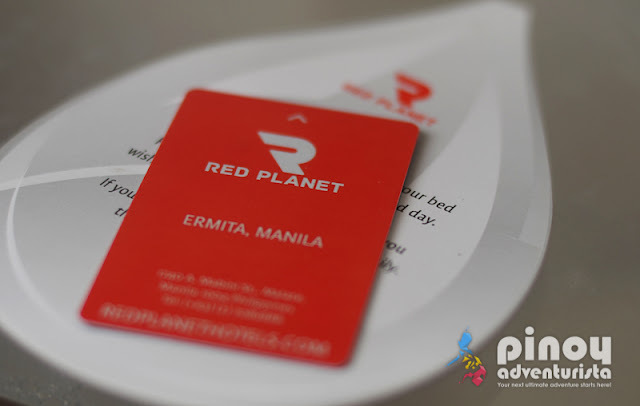 Overall, we had an awesome stay at Red Planet Hotel Ermita. 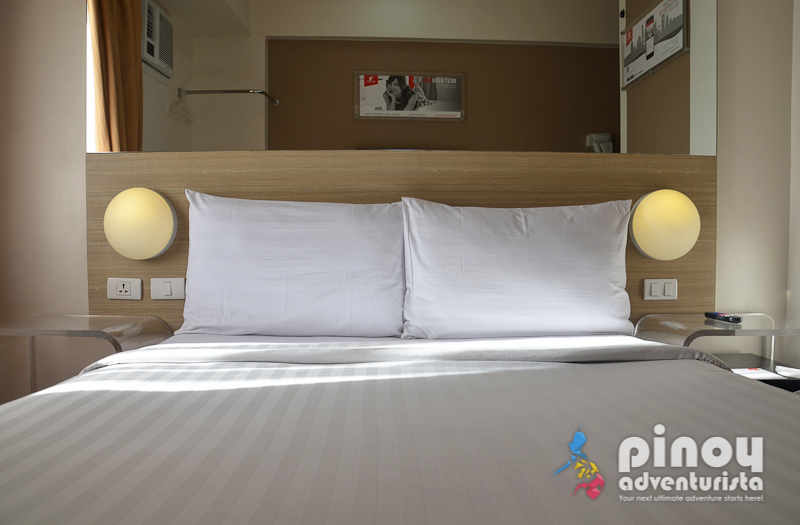 With all these amenities and facilities at a very affordable rates, guests will surely have a comfortable and memorable stay. I'm giving it my 2 thumbs up! Disclosure: Red Planet Hotel Ermita hosted our 2-night stay in Manila. We really had a pleasantly memorable stay! Thank you for having us!